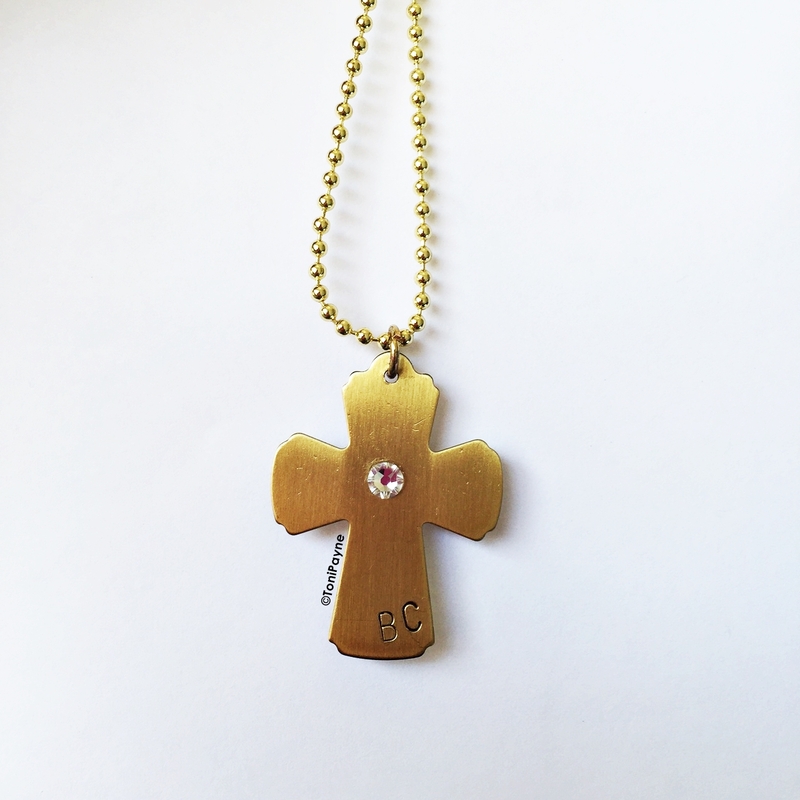 Our custom initials crucifix comes with the option to get your initials (up to 3 letters) hand stamped on the bottom. It also comes with a single Swarovski crystal at the center. You can choose your crystal color or get it with our clear crystal. Custom hand stamped jewelry makes a great gift and are great for special occasions, weddings and more.